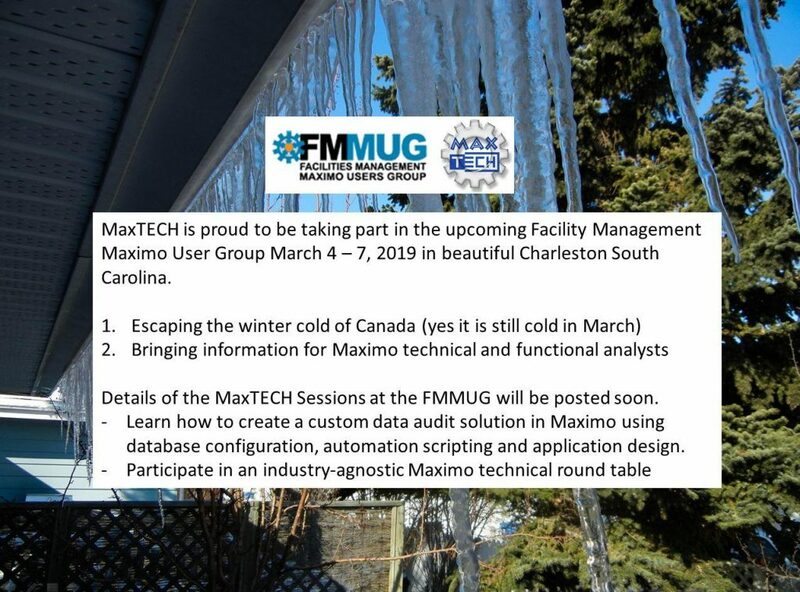 Did you know that MaxTECH will be at the Facility Management Maximo User Group in Charleston, SC March 4 – 7. Please join us there for a chance to learn some innovative technical solutions in Maximo, participate in a technical panel discussion and network with other Maximo technical and functional analysts. Join the MaxTECH Linkedin Group to keep informed regarding this and other MaxTECH events near you. Visit the FMMUG website for conference details and to register.